Offering an unbeatable, walk-to-everywhere location, this full-brick townhouse hits every benchmark for relaxed modern living within this tightly-held beachside suburb. Flowing over a fluid dual level floorplan, sophisticated interiors boast open plan living and dining areas, a full-sized modern kitchen, two large bedrooms, spacious bathroom with separate WC, versatile study with balcony connection and wonderfully private, leafy green courtyard. Its fine address will instantly capture the attention of professional couples, young-families or astute investors seeking a ready-made return. * Fresh, modern presentation with a dual-level floorplan. * Open plan living/dining; contemporary kitchen. * Leafy green courtyard, ideal for relaxed entertaining. * Both robed bedrooms feature cooling ceilings fans. 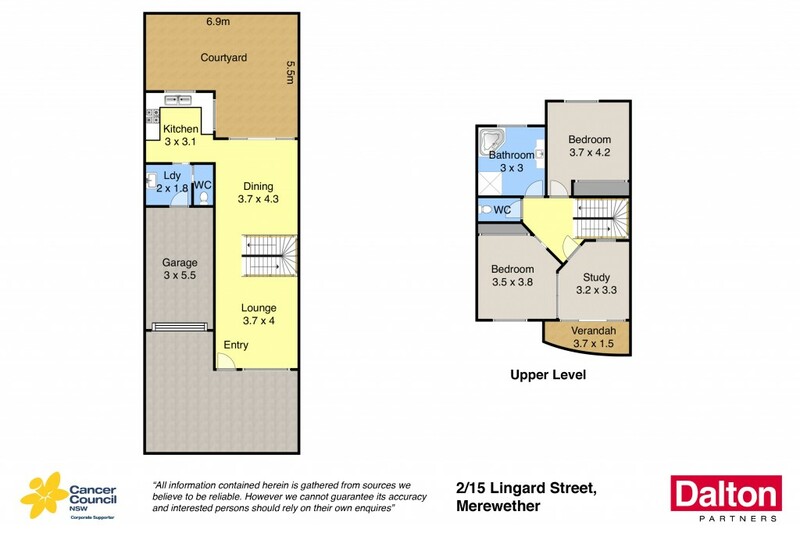 * Hugely versatile study with direct balcony access. * Split-system air conditioning; internal laundry. * Secure gate entry to a single car garage. * Enviable lifestyle setting close to beach and shops.